PM says Tehran regime holding back Iranian people from success - and from working together with Israel. 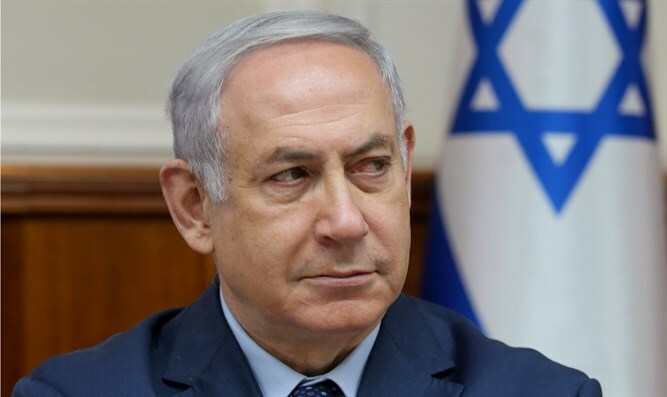 Israeli Prime Minister Binyamin Netanyahu released a video statement Thursday evening, praising the Iranian people and blaming the Tehran regime for Iran’s economic woes and hostility towards Israel. “What I'm about to say may surprise you coming from the Prime Minister of Israel,” Netanyahu said. “But I categorically state: Iranians are among the most gifted and successful people in the world. Of course, there’s one catch—when they leave Iran. You see, in Silicon Valley, entrepreneurs of Iranian heritage are among the founders and CEOs of Uber, Ebay, Dropbox and many other outstanding companies. “The Iranian people are brilliant. They’re innovative. So why is Iran so poor? Why is unemployment so rampant? The answer is in two words: the regime. Iran's dictators plunder the country's wealth. Isn’t it a shame that Iran doesn’t invest in its people? Instead, they divert tens of billions of dollars to their nuclear program, to the spread of terror around the world, to their aggression throughout the Middle East. “Meanwhile, the Iranian people are the ones that suffer. I look forward to the day when the Iranian people don't need to go to Silicon Valley, don’t need to go there to build the most successful companies in the world. Imagine Iranian and Israeli entrepreneurs working together, in Iran and in Israel, for the betterment of all humanity. That’s my hope. That is my vision. And that can be our future." Netanyahu released the video statement days after Islamic Jihad and Hamas – a client of the Tehran regime – launched a massive escalation against Israel, with multiple infiltration attempts across the Israel-Gaza frontier, and a wave of rocket and mortar attacks on Israeli towns near the Hamas-ruled Gaza Strip. Iranian forces also directly attacked Israel earlier this month, prompting the IDF to respond, hitting Iranian assets in Syria.